Our sister company, Palmer Conservation Consulting, works closely with Palmer Energy Company to take care of all of our clients’ energy needs. While Palmer’s focus is on the procurement and management of your energy supply, PCC’s emphasis is on the development and implementation of a plan to maximize the efficiency of your facilities. Palmer Conservation Consulting is considered a premier Independent third party - Owner Advocate - Energy Consulting firm. 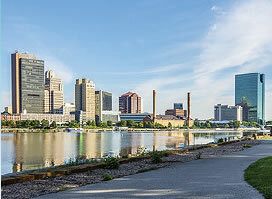 Headquartered in Toledo Ohio with offices in Cleveland and Columbus, Palmer Conservation Consulting (PCC) has successfully provided Energy Procurement and Energy Efficiency services to our educational, commercial and industrial clients throughout Ohio, Michigan, Indiana and Pennsylvania. PCC is affiliated with Palmer Energy. We “strategically” position our partners for success by minimizing their energy costs while maximizing operational efficiencies. Our holistic approach to energy addresses supply side as well as demand side costs providing our clients with the greatest savings achievable. Our objective is simple. We help secure a reliable supply of energy at the lowest practical cost for our clients as well as help identify and assist in the development and implementation of Energy Efficiency strategies needed to reduce operational costs. Our Independent energy expertise has saved our clients millions of dollars in energy expenses. Palmer Conservation Consulting (PCC) provides experienced energy consulting to a diverse base of customers helping our clients sort through the Energy industries complex maze of products and services.